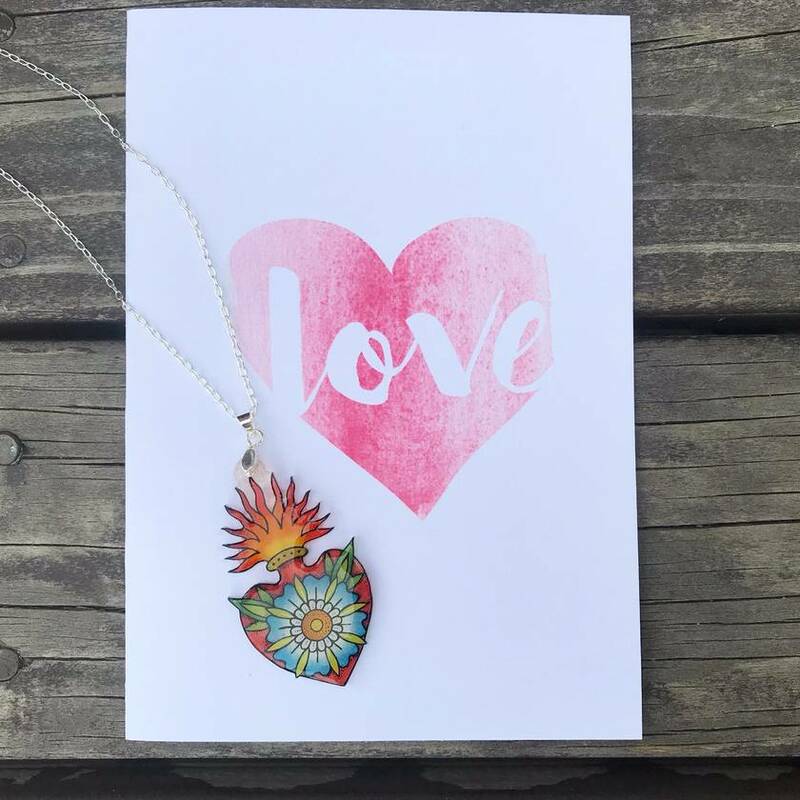 Delicate illustrated sacred heart necklace. 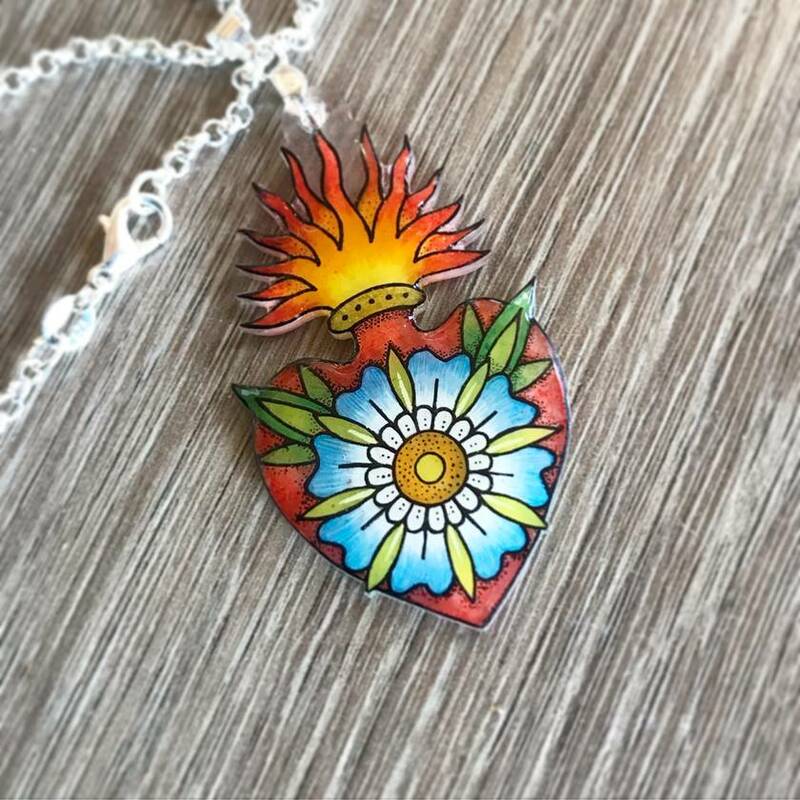 Hand coloured and cut unique heart pendant. Sterling silver. Pendant height 58mm. Sacred heart 28mm.